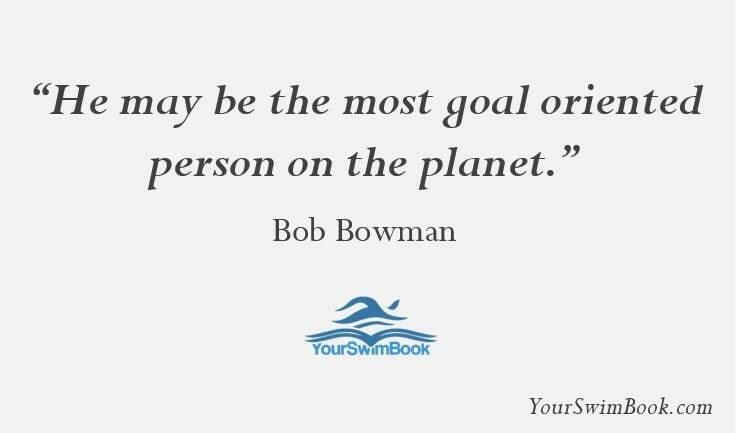 We all know the importance of setting goals, but few have us have mastered it the way the greatest swimmer of all time has. 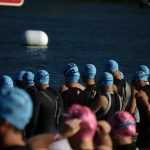 Here are his tips on how to set, and ultimately achieve, your goals in the water. Baltimore’s Michael Phelps has experienced the absolute pinnacle of the sport, reaching heights that no one has before reached, and no one is likely to reach again. He’s won a stunning 22 Olympic medals (and counting), world records in all the relays and three different disciplines, and more international medals than most developed countries. At the 2008 Beijing Olympics alone he won more gold medals than Canada, the Netherlands, or even France. But where did these massive accomplishments originate from? Michael Phelps, and his success, are largely a product of his other-worldly ability to set and create goals. His long-time coach Bob Bowman has made no secret that Phelps has long been a goal oriented athlete. 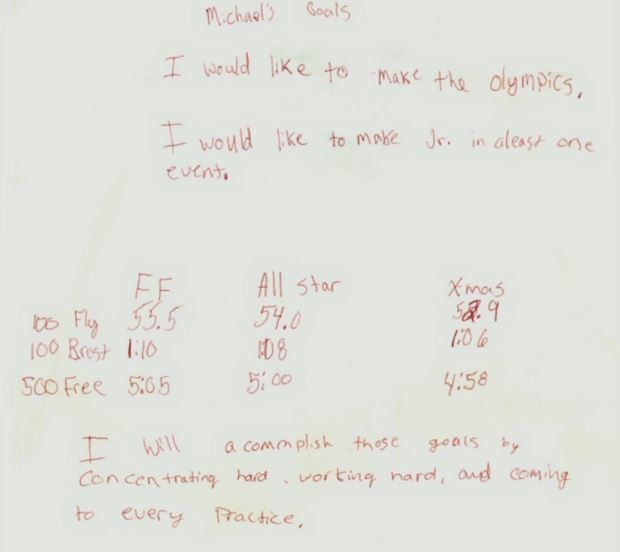 What I like most about the goal sheet is not necessarily the goals, or that he had very specific targets in mind (versus writing something like, “I want to be the fastest!”). The goals were clear, but most importantly they included a plan of action. Even at that age Phelps seemed to grasp that having a goal isn’t enough, you must also have a vehicle for that change. And in his case it was working hard, and showing up to every practice. 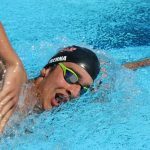 To give you an idea of how fundamental his goals were to his swimming, and how good he was at it, consider how well he called his shot in his marquee event at the 2008 Olympics, the 200 meter butterfly. In the run-up to Beijing Phelps had goals for each of his individual events. 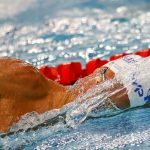 In the 200m butterfly, a race he actually swam blind as a result of a leaky pair swim goggles, he swam within a couple tenths of his goal time (goal: 1:51.1, result: 1:51.5), providing a glimpse into the ambitious and yet ultimately realistic manner with which he is able to set himself goals. 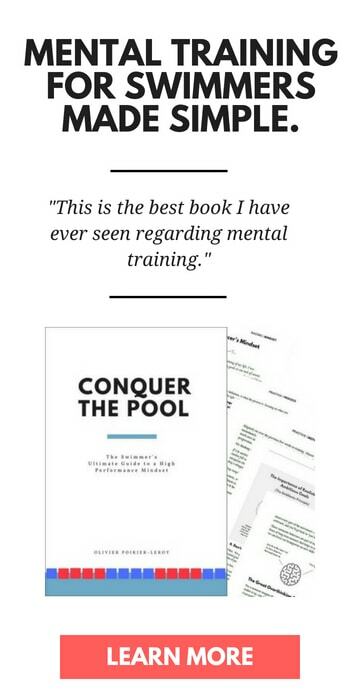 When you write it down it becomes real, something more than just wishful thinking, and you’ll find that the moment you write it out your brain will start to plot and plan to see what is necessary in order to make the goal come to pass. Need more proof that writing your goal out is crucial to success? A study done at Dominican University found that participants were 42% more likely to stick to their goals when they wrote them down. As far as performance boosters go, this is about as easy as it gets, so don’t skip it! 2. Post it somewhere prominent. There’s not much use in thinking up an awesome goal and then tucking it away in a drawer. Write it out, adn then post that bad boy! The more you see it, the more you think about it, and the more you think about it, the more you are going to focus your energy and effort on achieving it. 3. Write out what it will take. Having a goal is awesome, but a goal without a plan is simply wishful thinking. Write out a handful of things that you will have to do in order to make the goal a reality. Break down the goal into actionable, daily pieces of action. Just like your overall goal, you should make these things measurable and specific. 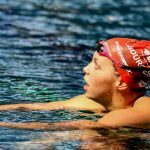 8-year old Phelps was mostly on the right track with wanting to be consistent at practice and working hard, but these things are subjective, vague, and can be left open to interpretation. Set yourself some rigid benchmarks, clear boundaries and a clearer path of action. 4. Work with your coach. As much as we like to think they should be, our coaches aren’t psychic. Sit down with them and share your goal. Tell them what you think it will take for you to achieve it, and solicit the feedback and incorporate it into your goal plan. If you know that you need to be doing extra in a particular area, and need his or her help to keep you on top of it, ask for that specific type of help. 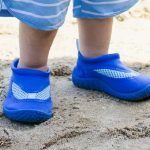 Having more layers of accountability can only help, particularly on those days where your motivation to do the right things in training sags or wavers. Phelps benefited greatly from having a no-nonsense coach. Bowman was the tough voice he needed on days where his motivation and commitment wavered. 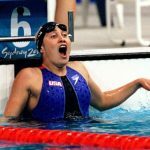 While the relationship you have with your coach doesn’t need to mirror theirs, it can mirror the partnership that the two men in pursuit of achieving great things in the water. While it’s easy to talk about Phelps’ achievements, there is no doubt he has faced setbacks, difficulties and disappointments along the way. In the year before Beijing he broke his wrist and was unable to swim a lap for several weeks. And of course, there are his out of the pool antics that have gotten him into hot water as well. 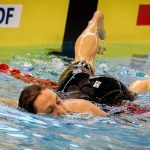 There will be setbacks, but what makes a champion a champion isn’t how they perform when things go well, but how they react when things go poorly. Michael Phelps By The Numbers. 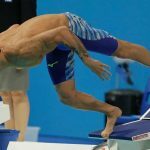 Ever wondered what Phelps’ wingspan is? Inseam? Or how much the GOAT could squat? 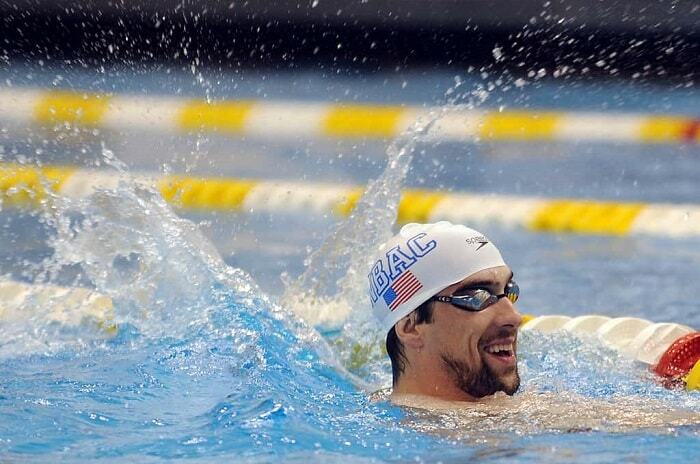 We break down the numbers behind the greatest swimmer of all time.